The end of August and beginning of September marks the timeframe for college students (and athletes) to descend upon campuses across the country and either resume their studies or for the class of 2022 to begin their 4-5 year journey. Over the past 9 months or so, SwimSwam tracked all the verbal as well as formal commitments from graduating high school seniors to their new schools. There were 53 PVS swimmers recognized in the list, which we sorted below by the name of College. We know there are more swimmers from PVS that graduated in 2018 who may or may not have chosen to continue swimming and last year PVS identified over 170 athletes. We are only providing the list as collected/maintained by SwimSwam, the broader list of PVS graduates will be worked into a post later in the year. William & Mary benefited most from swimmers in our area with 6 commitments, followed by Virginia Teach and George Mason, each with 4. Other schools with multiple commitments are Air Force(2), Arizona State(2), and Notre Dame(2). For all those in the class of 2019 who are starting their club practices this week, gearing up for the Fall/Winter swim season, the NCAA has published a recruiting guide. This guide outlines when, how often, and the type of contact (phone, in person, electronic) an athlete can have with a prospective college. What: swimmers can sign a National Letter of Intent which is their binding agreement to attend a particular school. 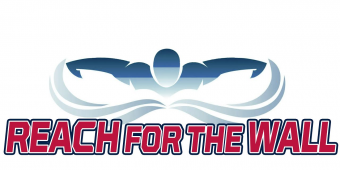 Coaches will provide scholarship papers for the swimmers and their parents to sign. A recruit cannot sign a National Letter of Intent unless there is some form of athletic scholarship. A book scholarship is the minimum. Coaches are not allowed to meet recruits face to face from 8am Monday November 7 through 8am Friday November 11. Verbals are not binding, but rarely do the coaches renege on their scholarship offers. Usually it’s the recruit who backs out. If you give your word to a coach you should honor it. Pay attention to admission deadlines as they vary from school to school. When: September 1 of your senior year through August 1 except during a dead period. What: A visit becomes official if the school pays for anything other than a ticket to an on campus event. If they buy you a hot dog it becomes an official visit. Due to budgetary cutbacks many school don’t have the money to pay for the entire trip and will ask you to pay for your transportation to and from campus. The schools will usually pick up the tab for room and board while you are there. Your parents may come with you on an official visit and schools are allowed to pay for their room and board while they are there. This depends on a schools recruiting budget. When: anytime except during a dead period (8am Monday November 7 through 8am Friday November 11). Left off your list was Maren Oliver, Snow Swimming/John Champe High School in Loudoun County attending UNC-Asheville a D1 program part of CCSA.